This is sweet corn bread dipped in vanilla pudding recipe. 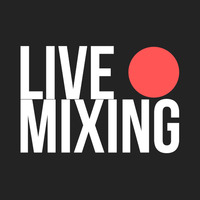 Made on "Live Mixing: Sweet Corn Bread Puddin Vapes"
This is really reminiscent of the original, but also a nice and tasty mix by its own standards. I vape it often, and I like it, but even after a steep, it's missing depth. In the chase for popcorn, this is very caramel, or butter finger popcorn, which I enjoy, but not all the way to a corn bread or a pudding. It's nice and sweet and a good vape. I gotta say Wayne you crushed this. The OG Eliquid is HEAVY and a coil gunker. This however, I mixed this as written with the exception of the super sweet (used erythritol instead at 3 drops per 30 ml). Shake n vape it had a plastic flavor but day 2 - BANGER. I think you got this just right and better than the OG. If you wanted more of the OG heavy syrup, maybe bump up that custard to 1% but I actually PREFER this to the original. Thank you!